In a large stock pot, combine the lime juice, coconut milk, wine, curry paste, garlic, fish sauce and sugar. Stir to dissolve sugar and curry paste and bring to a boil over high heat. Boil for 2 minutes then add mussels. Cover and cook, stirring occasionally, until mussels are opened, 5 to 8 minutes. 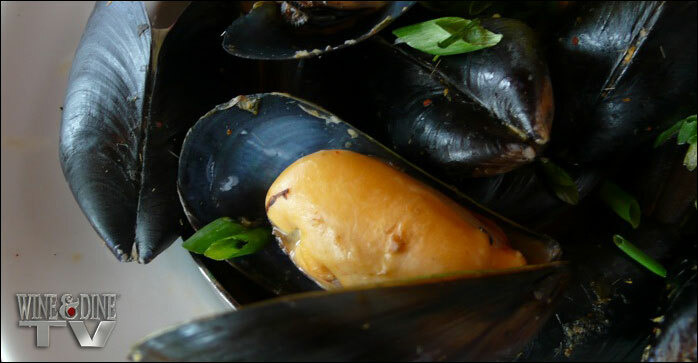 Remove from the heat and discard any unopened mussels. Pour mussels and liquid into a serving dish and toss with cilantro.